I LOVE kitchen gadgets. They make my dishes pretty, make them easier to prepare, save me time and often allow me to show my creative side. I would love to try the Produce Wash, as I am living in a tropical climate and it can be hard to get produce clean here. Thanks! I would love to try the better batter beater since I'm one of those people that no matter how hard I try to get batter mixed I still find little bits that aren't quite mixed in. I am most excited about the Salad Chopper because we eat a ton of salads, especially in the summer. This seems like it would make them much more convenient. I would most like the herb shears. I think they would make it easier to use fresh herbs. I would like the salad chopper, because I eat salads everyday and sometimes it becomes tedious and messy chopping up a salad on the cutting board. I am most excited about the 3 blade herb shears to cut my fresh herbs and the better batter beater to make egg dishes and pancakes. The basting and BBQ set. We use our drill a lot during the simmer and this would be a great addition for using our grill. I'd be super excited about it all equally, but especially the Basting + BBQ Set!!! 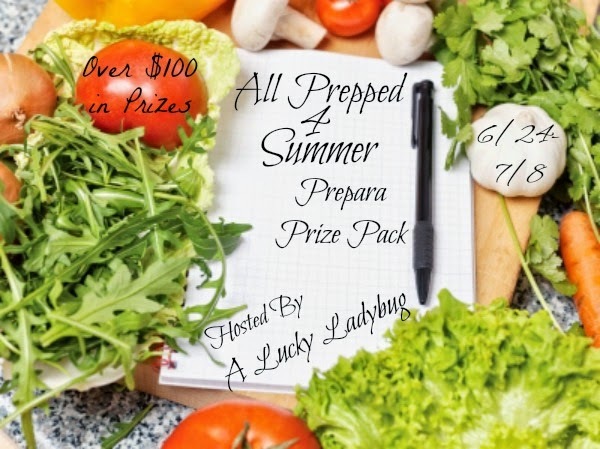 I'm excited about the salad chopper which would make my favorite summer meal even easier and the produce wash so I know what goes into it is clean! The Salad Chopper looks like it would be great! I am excited about the produce wash. We eat lots of variety from the garden. The Salad Chopper is my favorite. I am most excited about the 3 blade herb shears. I can use it to cut my fresh herbs from my kitchen garden. I'm most excited about the shears. It'd be nice to have something to harvest with other than just tearing leaves off! I just spent some time looking at their site. That Better Batter Beater is amazing! That would be wonderful when I am mixing up something small. The Herb Savor would also be wonderful; I use herbs fresh from the herb garden regularly. Honestly, everything looks wonderful! Whether or not I win, I am glad I discovered these products through you! I am excited about the salad chopper. I just started a new diet today so I will be eating alot of salads! The herb shears- I've been growing lots of new herbs this summer so these would be extra handy! I am excited about the salad chopper. I have been trying to eat more salad but having to prepare it makes me not want to.